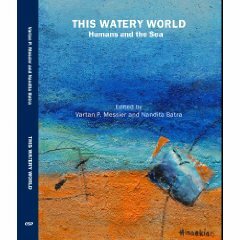 "Of Mice and Men: Animals in Human Culture"
"This Watery World: Humans and the Sea"
Click here to see the Table of Contents of This Watery World: Humans and the Sea, ed. Vartan P. Messier and Nandita Batra (CEA-CC Publications: Mayagüez, December 2007). "Narrating the Past: (Re) Constructing Memory, (Re) Negotiating History"
Click here to order Narrating the Past (Newcastle-upon-Tyne: Cambridge Scholars Press, 2007), from the publisher and here to order the book from Amazon. 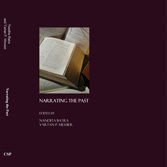 Click here to read a sample chapter of Narrating the Past (Newcastle-upon-Tyne: Cambridge Scholars Press, 2007). Click here to read Transgression and Taboo: Critical Essays online.